The Museum collections are housed in the old Railway Refreshment Rooms on the ground floor and on the first floor which was used as the manager’s residence and accommodation for female staff and occasionally for travelers. The individual exhibits were mostly donated by people living in the Blue Mountains, Hartley and surrounding district. The collection is an insightful representation of the early history and old ways of living, farming and working in the upper mountains and valleys from the first crossing of the Blue Mountains and the building of the first road to Bathurst 1813 to 1815 through to the mid 20th Century. A prominent part of the collection focuses on the area as a tourist destination from the mid 19th Century when the railway reached Mount Victoria in 1868. Mount Victoria was at its height as a popular holiday resort from the 1880’s through to the 1930’s. CONVICT RELICS AND THE FIRST ROADS OVER THE MOUNTAINS. A collection of relics recovered from the Cox’s River Stockade dating from the time of the building of Mitchell’s road to Bathurst in 1829 -1832. These relics are mainly commonplace items including buttons, buckles, coins, bottles, a clay pipe and a pistol. 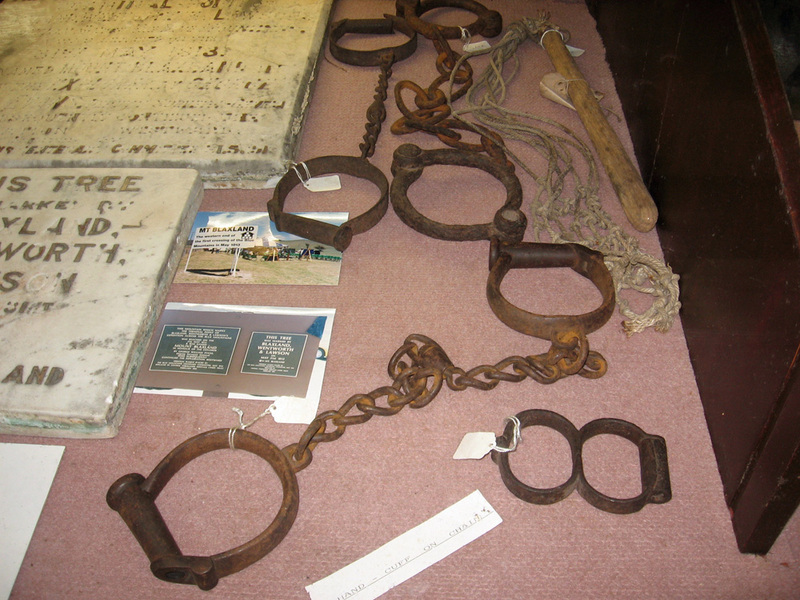 Convict leg irons, hand-cuffs and a cat-o-nine tails are a stark reminder of the area’s history. Some of these relics were found around the Victoria Pass section of the Great Western Highway and were originally part of the Mel Ward collection. Maps showing the route of the original Cox’s Road 1813 to 1815 and the location of the stockades between Mt. Victoria and Mt. 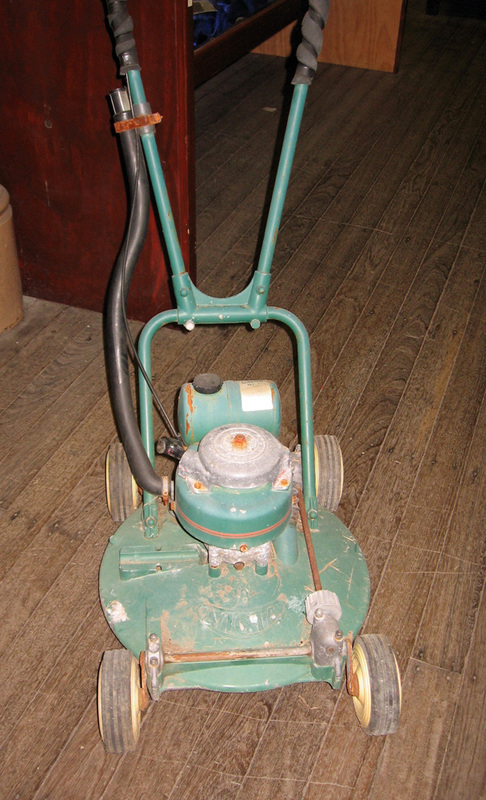 Walker, in use during the building of Mitchell’s road 1829 to 1832. 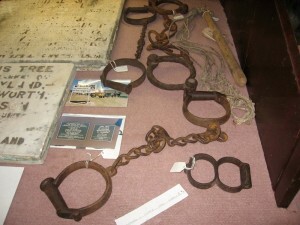 Other items include books, photos and diagrams showing details of archeological digs carried out at the stockade sites. TOOLS AND EARLY FARM EQUIPMENT. An interesting collection of very early farming tools including a hand-made harrow used by settlers in the Kanimbla Valley, a complete blacksmith’s forge with bellows, anvil and tools, a collection of saddlery and harness, a “Horse Works Chaff Cutter” once driven by hefty Clydesdales. An impressive display of hand tools including saws, augers, picks and wrenches. A convict made iron bed frame and a horse drawn buggy as well as a quaint, early Victor motor mower c. 1960’s. Many more old tools and fixtures used in mining and farming are also part of this intriguing collection. Examples of the products produced by the old Lithgow Pottery established in 1833, Australia’s oldest commercial pottery, are also on display. KITCHEN FURNITURE, COOKWARE AND HOUSEHOLD APPLIANCES. The original service room, pantry and scullery houses a wonderful and very nostalgic collection of items used during the 19th and 20th centuries in the kitchen and pantry. 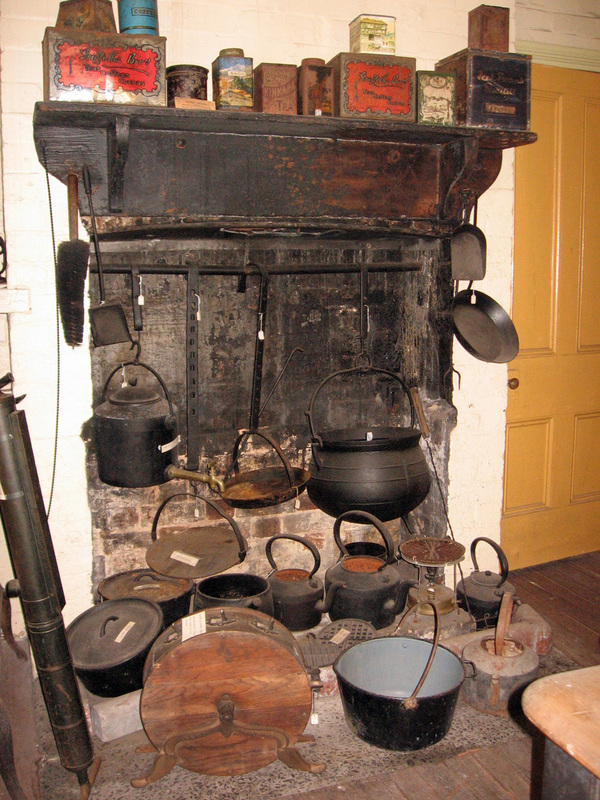 The room features a typical pre 20th century open kitchen fire place with an impressive display of iron cooking pots and kettles. Early kerosene and wood fuel cooking stoves and an early dishwashing machine once in use at the Imperial Hotel. A hand operated knife sharpening machine and an intriguing device which was the for-runner to the modern vacuum cleaner circ. 1906. Early hand operated butter churns and cream separators constructed from timber remind of a time when craftsmanship was paramount. In the scullery and laundry area is a display of old wooden tubs, hand operated washing machines, wood fuel coppers and hand operated wringers and mangles, giving rise to reflect on the arduous tasks faced in earlier times. A collection of old clothes irons including kerosene irons used until the mid 20th Century. The latter were dangerous, known to explode and cause severe burns. Various interesting items of table and kitchenware add to this very interesting and comprehensive collection. Other household items include a collection of early types of household lighting and various items of colonial furniture displayed throughout the museum including beds, cots, wardrobes, chests, dressers, cabinets, chairs and lounges. Glassware, vases and other decorative antique items complete the household collections. Of special interest is Kate Kelly’s four poster bed, Kate was a sister of the famous bushranger Ned Kelly. On display in the old Saloon or Refreshment Room, the “Music Room” features a 19th Century ‘fold-up’ piano — constructed for easier transportation; many such items were carried from place to place by sea or land transport similar to a campaign chest. Old phonographs, gramophones, organs and a piano accordion. The outstanding piece here is an old player piano c.1900, a cumbersome device which was rolled up to the piano keyboard, a perforated roll was inserted to enable the “player” to play a tune on the piano by striking the piano keys with its own set of keys or digits, this has to be seen to be believed, unfortunately it is not in working condition. 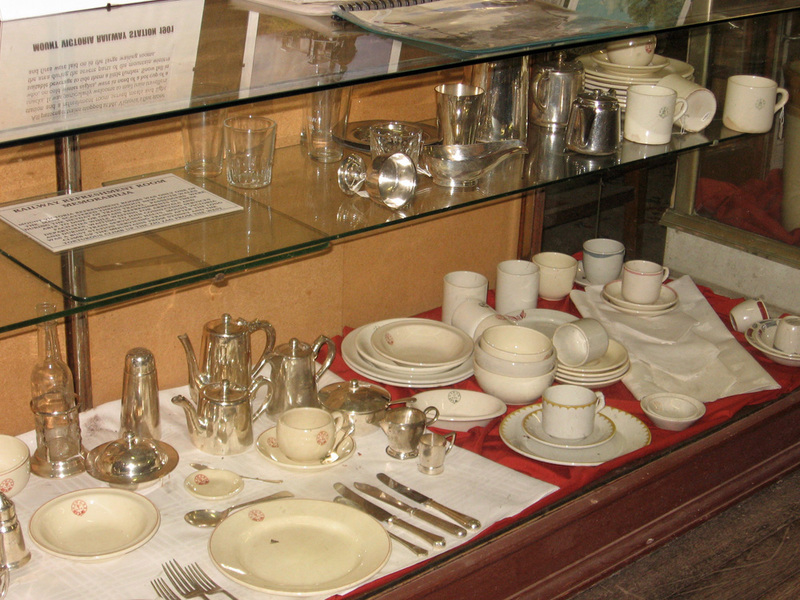 RAILWAY REFRESHMENT ROOM AND TOURIST MEMORABILIA COLLECTION. The two largest rooms in the museum were originally the Dining Room and Saloon or Refreshment Room. Several sets of tall, double doors open onto the station platform allowing passengers easy access to the Kiosk where they could buy a sandwich or pie, cigarettes, drinks including alcohol etc. Those who booked ahead could have the luxury of a three course meal in the elegant dining room; this usually had to be consumed in twenty minutes while the train waited to continue the journey. A collection of tourist memorabilia is also on display consisting of small inexpensive items and postcards depicting the local area. 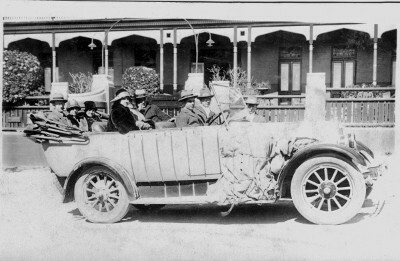 Old photos of the steam trains notably The Caves Express and the old automobile taxis, hire cars and vintage tourist coaches used to take visitors to the Jenolan Caves from Mt. Victoria in the early 1900’s are also part of this collection. The original Dining room now contains a collection of books, articles, brochures and documents relevant to the local district and the early residents, business owners and notable families of the district. The collection includes photos and newspaper articles. Historical information on local activities and institutions —– shale mining in Hartley, the railway, tourism and local hotels, guest houses, old Inns and other buildings of the Mt. Victoria and Hartley area is held here. The Local history collection also covers notable schools and colleges; a stand-alone exhibit occupying one room on the upper floor is the Osborne Ladies College, established at Blackheath in 1923. Another room on the upper floor is also dedicated to a school room display featuring Henry Rienits who established “The School” a private boarding school for young gentlemen in 1885 at Mt. Victoria. A very beautiful and fragile display of exotic birds stands in the original Dining Room. A collection of preserved small mammals and large spiders also resides here. This collection includes several very good examples of Scrimshaw carved on whale bone. On the upper floor a full room display of stuffed Australian Emus plus artifacts and dioramas depicting Papua and New Guinea native life. 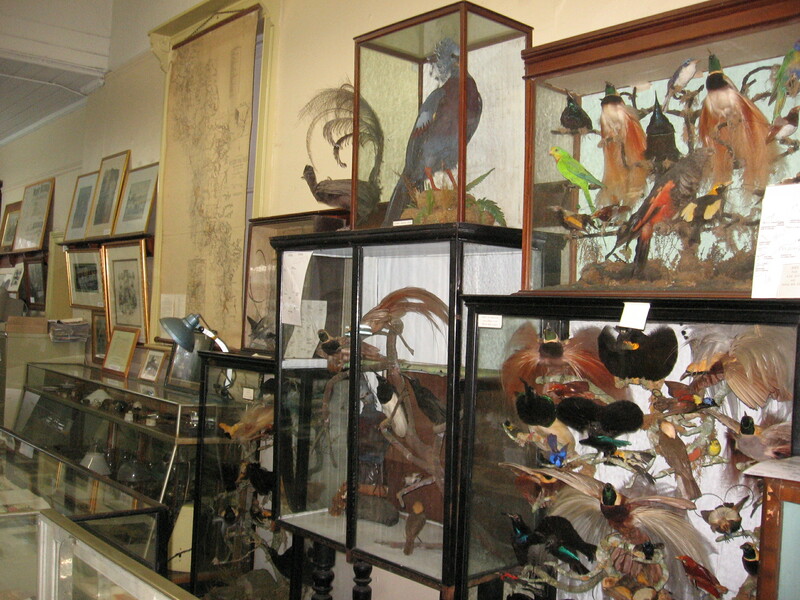 Most of the natural history exhibits were originally part of the famous Mel Ward’s Museum and Gallery collection at Medlow Bath and Echo Point which operated from 1943 to 1966. CAMERA AND PRECISION MACHINES COLLECTION. This collection of photographic and dark room equipment, cameras and projectors illustrates the technical advancement of photography to the later 20th Century. Adjacent to this display are several early typewriters, cash registers, sewing machines and an old roneo machine which was the forerunner to the modern office photocopier. 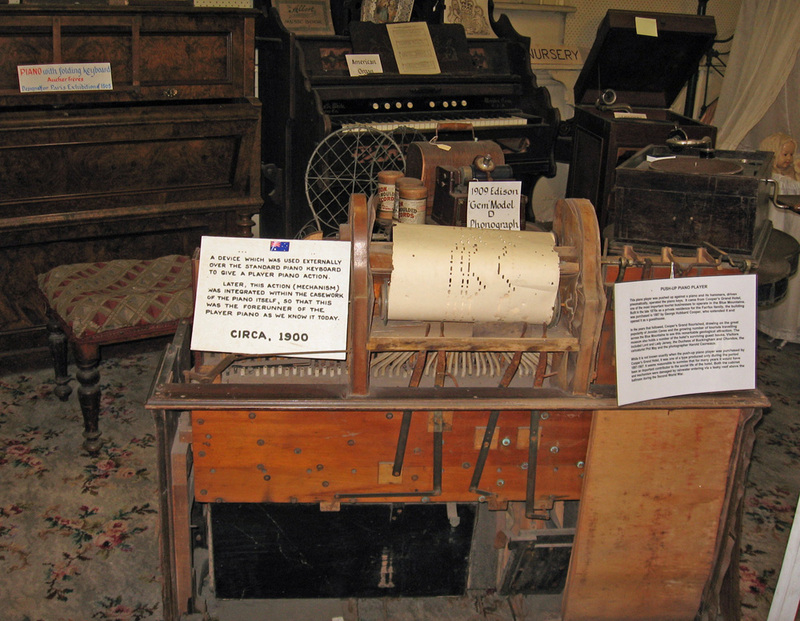 An important item in this category is an old, hand operated Arab printing press made in Halifax, UK in 1872; it was used to print the Blue Mountains “Echo” newspaper. 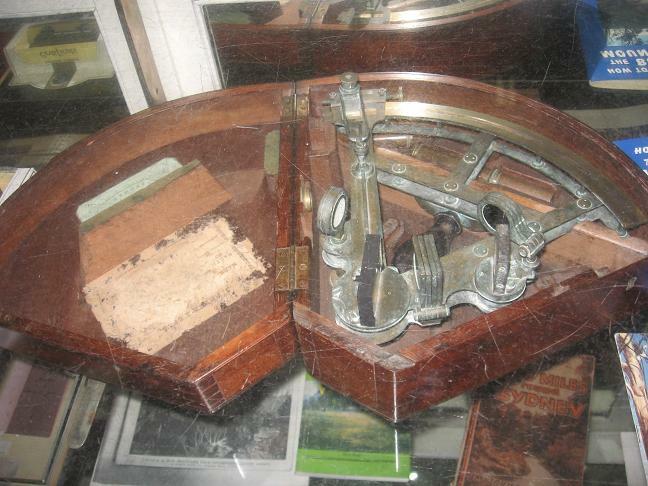 A Brass Sextant in a polished timber case is an interesting early navigational instrument used to determine a vessels position and direction on the open sea. CLOTHING, ACCESSORIES / TEXTILES COLLECTION. 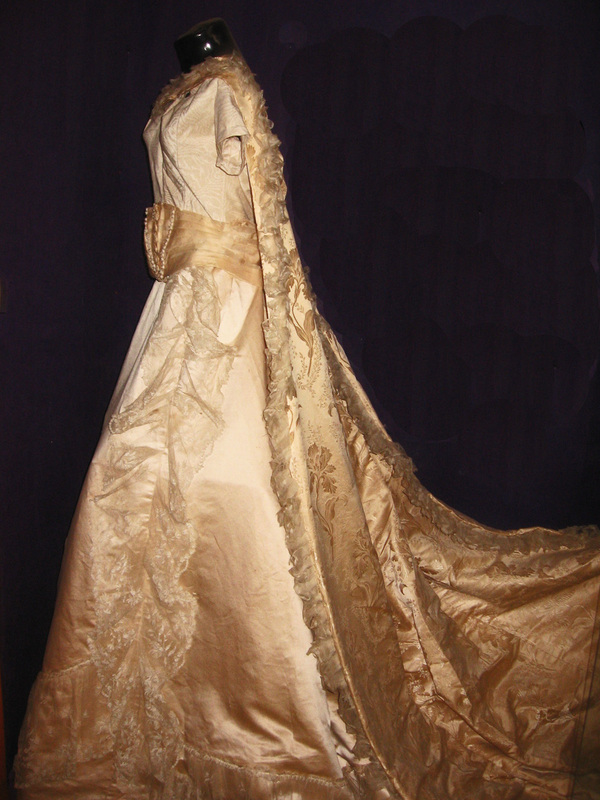 A full room dedicated to clothing of the 19th and early 20th centuries displays a brocade wedding gown c.1899, a man’s evening suit and children’s clothing. Beautiful hand-made lace, various types of needlework and hand-sewn underwear are featured. A collection of ladies tortoise shell combs, fans and pocket-books or small purses show the elegance and attention to detail of a bygone time. Throughout the Museum various items of fine napery and bed covers are displayed including an American made crochet bed cover which adorns the famous Kate Kelly’s four poster bed. Kate’s bed has had its four posts lopped off. Copyright Mount Victoria & District Historical Society 2011-2017. Website originally designed & developed by Caitlin Oxley, redesign & updates by Tim K. Jones.